Theresa May will address EU leaders at a special summit in Brussels on Wednesday evening. The summit was originally scheduled to sign off a Brexit divorce deal with the UK. However, prospects of a deal now look more distant than ever before with the EU increasingly pessimistic that an agreement can be reached. The impasse has put Theresa May’s future at risk with a no-deal Brexit threatening chaos for the UK economy. LONDON – Theresa May’s Brexit deal was left hanging by a thread this week after the UK government dashed hopes that an agreement would be struck at the EU Council summit on Thursday. The failure to strike a deal followed threats of resignations from May’s Cabinet and a growing sense of pessimism on both sides of the English Channel that a Brexit deal may ultimately be out of reach. “Unfortunately the report on the state of the negotiations that I got from Michel Barnier today, as well as yesterday’s debate in the House of Commons, gives me no grounds for optimism before tomorrow’s European Council on Brexit,” European Council president Donald Tusk said on Tuesday. So as May heads out to Brussels on Wednesday to address EU leaders, what hopes are there still of a deal, how did the prime minister reach this point, and what chance is there that Britain may ultimately end up with no agreement at all? Westminster was sent into a frenzy on Sunday afternoon when Dominic Raab, the UK Brexit Secretary, travelled to Brussels to meet with the EU’s chief Brexit negotiator, Michel Barnier, amid rumours of a deal already being reached. Multiple reports claimed that a deal was agreed at “technical” level ie. between negotiators who aren’t politicians. 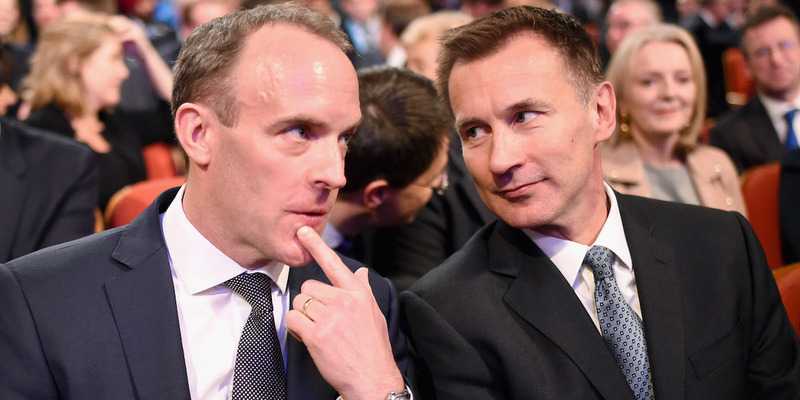 However, hopes of an imminent announcement were quickly scotched with Raab stating that there were still major “sticking points” to a deal. Privately, Downing Street sources deny that a deal was ever on the table. “Really don’t believe any of this stuff,” a source close to the prime minister said. “Don’t believe any of this stuff. There will be an agreement when it is reached at a political level and there is no other sort of agreement.”- Source close to Theresa May. The main sticking point to an agreement relates to the so-called “backstop,” which is the insurance policy for ensuring the open, frictionless border between Northern Ireland and the Republic of Ireland is preserved no matter what shape Brexit takes. The EU and UK strongly disagree on what shape this backstop should take, and how long it should be in place. The EU’s preferred backstop arrangement is for Northern Ireland to effectively stay in the customs union and single market “until and unless” technology capable of keeping the Irish border open is ready to be implemented. However, the UK government hates this idea. Firstly, such an arrangement would create new border checks between Northern Ireland and Great Britain, creating divergence between two members of UK. Secondly, the UK wants the backstop arrangement to be time-limited, to prevent the possibility of the UK being stuck in the EU’s customs unions for years and years. The UK government has instead come up with a counterproposal of the entire UK temporarily staying in a customs union after Brexit. The EU is ok with this – but only if the UK agrees to its Northern Ireland-only backstop as well. Basically, neither side is willing to budge. Why is the EU’s proposal so toxic for the UK? If May did agree to the EU’s proposal in its current form, it would meet fierce opposition in Westminster. Pro-Brexit Conservative MPs have threatened to oust May as Conservative leader if she agrees to it and numerous Cabinet ministers would reportedly consider quitting. BI reported last week that three ministers – Andrea Leadsom, Penny Mordaunt and Esther McVey – are all poised to quit if May accepts the EU’s demands. Brexiteers believe that an indefinite backstop arrangement would trap the UK in the EU’s customs regime for potentially decades, leading to what critics describe as “BRINO” (Brexit in name only.) It would prevent the UK from implementing new free trade deals, as they would be restricted to following the EU’s trade policy. And then there’s the Democratic Unionist Party which props up May’s fragile government. The Northern Irish party has been clear it will not accept any new checks whatsoever between Northern Ireland and the rest of the UK. “This is a battle of who blinks first – and we’ve cut off our eyelids.” – DUP source. The DUP’s core objective is to protect Northern Ireland’s place in the UK. The party regards any threat to that, like new border checks between the two, as an unacceptable existential threat to Northern Ireland itself. Putting it simply, if May agrees to the EU’s backstop proposal, she will enrage a number of Tory MPs large enough to trigger a leadership contest, and lose the support of DUP MPs who are the only reason she is still prime minister. A spokesperson for Theresa May dropped a little hint about a possible plan B on Tuesday. They told reporters that prime minister’s priority was establishing “a mechanism to clearly define how” the backstop will end. This is significant as May’s original position was that the backstop must have an explicit expiry date. However, the focus now appears to be on the conditions on which the backstop could be brought to an end – not a fixed date. A source close to Cabinet discussions made a similar suggestion to BI this week, claiming that the prime minister had focused on creating something which “feels” like a time-limit, rather than an actual end date. Whether the Brexiteers threatening May’s position would accept that is unclear. Government sources believe that a significant number of Tory MPs will be almost impossible to please, even if May turns negotiations around. “I fear Britain will have a lot of hurt pride and like a wounded animal will lash out before it dies” – EU Commission source. Barnier has reportedly offered the May a one-year extension to the proposed 21-month transition period. This, in theory, would give the UK more time to negotiate a trade deal with the EU which is comprehensive enough to preserve the Irish border, meaning the backstop wouldn’t have to come to into play. However, Barnier is clear that the UK would still have to accept the Northern Ireland-alone backstop which May has already rejected. Plus, an extended transition would not go down well with pro-Brexit MPs, who’d be dismayed with the prospect of EU rulings, rules and budget contributions continuing for another 12 months. Ideas are floating around but a breakthrough doesn’t appear to be imminent. And with no further negotiations scheduled to take place this week, the prime minister’s trip to Brussels is set to be another fruitless visit. Meanwhile, the bigger picture is that a no deal Brexit is regarded as likelier than ever. A European Commission official, who BI spoke to this week, echoed Tusk. “We don’t want a no-deal any more than the UK does,” they said. “But the deal is definitely going to be pushed back to November, if it happens at all,” they said. “They don’t want to negotiate with Corbyn or Johnson. But sympathy and understanding are not the same as giving someone what they want.” – EU Commission source. 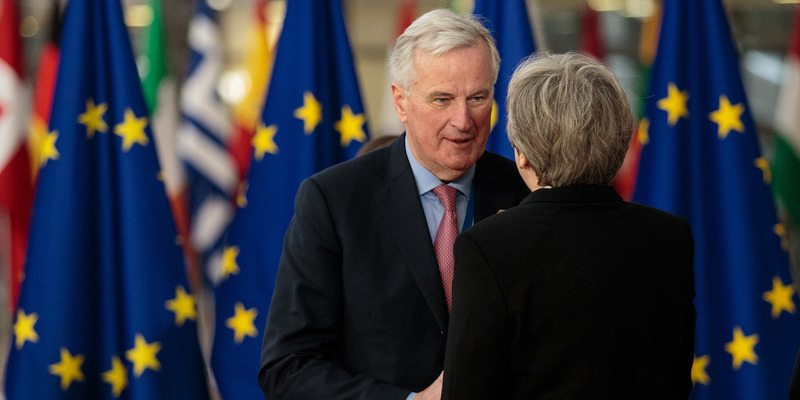 Figures in Brussels say the ball is in May’s court, and that the impasse holding up talks originates from the prime minister’s weak position in Westminster, not intransigence on the EU’s behalf. “They [the EU] are trying to help her. They don’t want a change in government,” another European Commission source said. “They don’t want to negotiate with [Jeremy] Corbyn or [Boris] Johnson. They expressed concern that if both sides continue to struggle to reach a compromise, tempers will rise, and the UK could stage another walkout which will come too late to rectify, leading to a no deal Brexit. “My fear is that there is still a lot of bad blood and without being wishy-washy about culture, I fear Britain will have a lot of hurt pride and like a wounded animal will lash out before it dies,” the Commission source said. Both sides are determined to avoid no deal. There are even suggestions that negotiators are prepared to wait until the European Council’s summit on December 13 to strike a deal. This would give the Westminster and Brussels parliaments much less time than they were hoping for to scrutinise and ratify the deal. But desperate times call for desperate measures – and as things stand, the situation is becoming increasingly desperate.